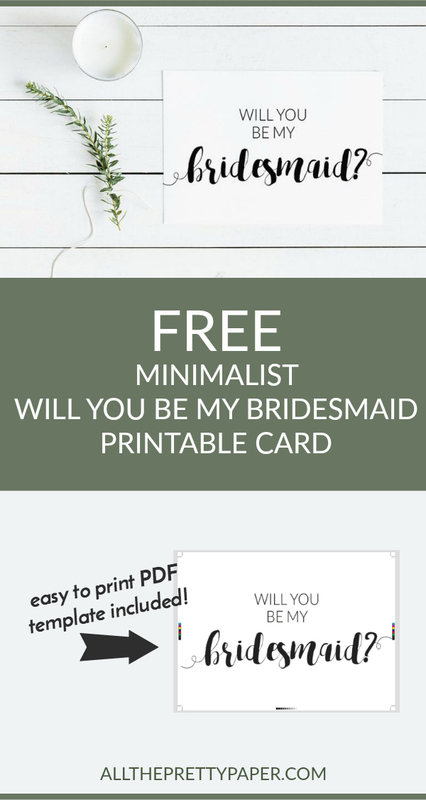 Be My Bridesmaid… Bridesmaid Proposal… whatever you want to call it, this free printable Will You Be My Bridesmaid card template is what you need! I’m loving modern minimalist wedding stationery and this card ticks that box nicely. It would look great paired with a simple kraft paper envelope don’t you think? See below for full instructions on how to download and print your free Bridesmaid Proposal card. I hope you enjoy your printable! 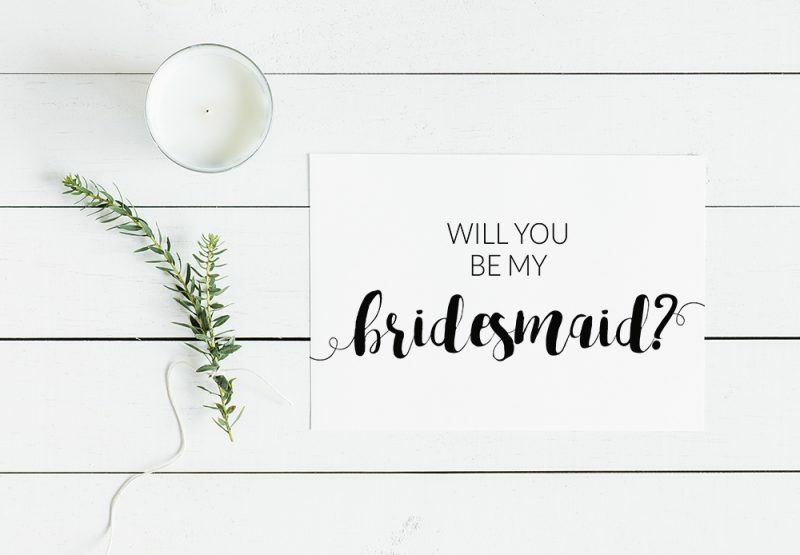 How will I receive the Will You Be My Bridesmaid card? Simply click on the link above and the file will automatically download to your computer. It downloads as a zipped file – double click on the zipped folder to open it up and access the file. How do I print out the free printable Will You Be My Bridesmaid Card? The card is in PDF format with a 3mm bleed and crop marks to make it easier for you, or a printing service to trim it down to size if required. 1. Print it on your home printer – it’s ideal to print postcard sized (148 x 105 mm) but the file resolution should be large enough to print bigger if required. 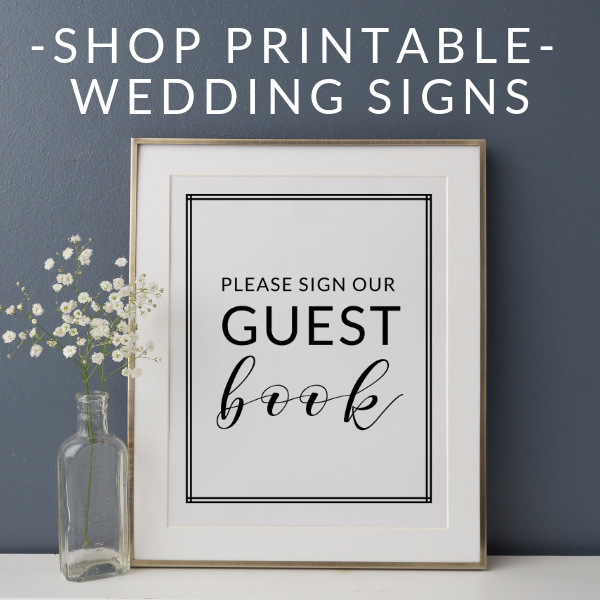 Check out this post on how to print wedding invitations at home for more helpful tips. 2. Have it printed off online – my favorite online printer is Printed.com. I used them for the stationery for my own wedding and I love their choice of cardstock and the fact that they’re very reasonably priced. 3. Bring it to a local printer to have it printed off – you can bring it on a USB stick or some printing services allow you to email the file to them. Can I share the printable with my friends? No. The printable is only for your own personal use. But please do send your friends to this blog post so that they can sign up for their own copy. 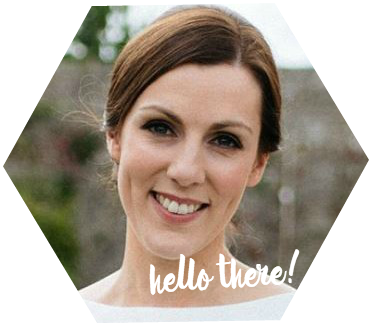 I’d love it if you could shout about it on Facebook, Twitter or even Pin it!